It’s nearly here! 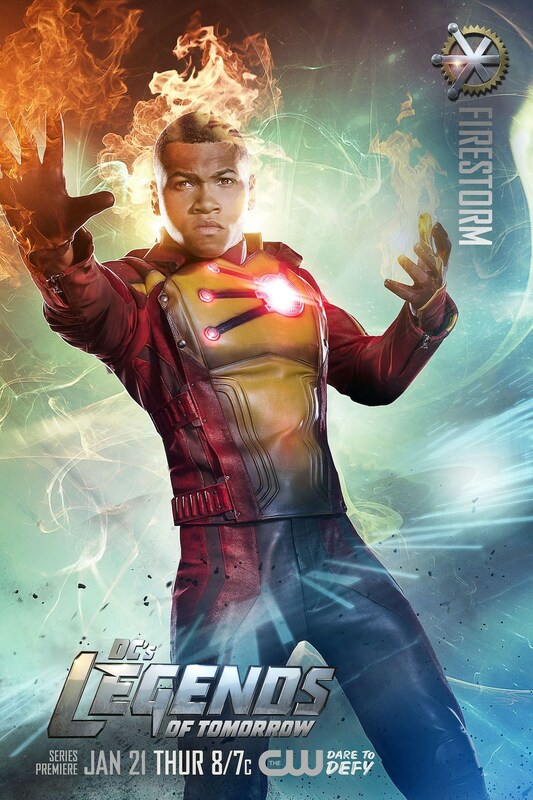 This Thursday is the premier of Legends of Tomorrow, featuring Firestorm! Franz Drameh (Jefferson “Jax” Jackson) and Victor Garber (Professor Martin Stein) combine to form our favorite Nuclear Man! If you haven’t seen the character promo for Firestorm, click here or play below! Be sure to watch The Flash tonight, then check out Legends of Tomorrow on Thursday! Posted in: Flash TV Series, Franz Drameh, Jefferson 'Jax' Jackson, Legends of Tomorrow, Professor Martin Stein, Victor Garber. ← Power Records Podcast #12: Superman! When I saw the preview show was titled Their Time is Now, all I could think of was the F&W Podcast theme. LOVE Victor as Martin. I don’t think we could have asked for a better casting there. My review for TV4tRoU should be up tomorrow or tues. When’s yours, Shag?